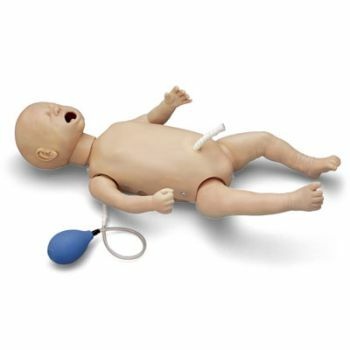 This dramatic training manikin is ideal for beginning practice and building skills to work on the more advanced skills of the Life/form Infant or Deluxe Infant CRiSis Manikins (LF03709U and LF03718U). 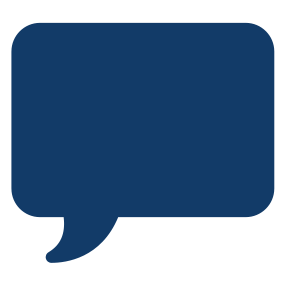 Visual and tactile realism are combined in the simulator to provide students with the most realistic training possible to learn with incredible accuracy. Anatomical landmarks provide key features necessary to learn proper infant handling in emergency situations. 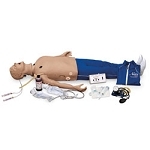 Manikin can be upgraded to the Life/form Complete Infant or Deluxe Infant CRiSis Manikins by adding the Manikin Modular Component upgrades available. 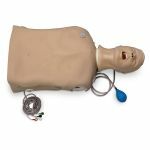 This full-body infant manikin was created to offer realistic training and practice of infant airway management and CPR education. Anatomically correct in both size and detail. Landmarks include gum line, tongue, oral and nasal pharynx, larynx, epiglottis, arytenoids, false and true vocal cords, cricoid ring, tracheal rings, trachea, and esophagus. Also allows practice of intubation, and suction techniques can be performed and evaluated. 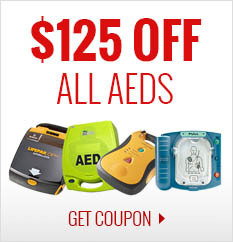 Designed for use with an uncuffed endotracheal tube measuring up to 1/8" (4 mm) inside diameter. 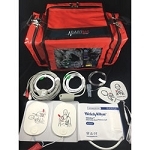 Includes artificial blood, IV bag, umbilical cord replacements, carry case, spray pump lubricant, and instruction manual. Five-year warranty.